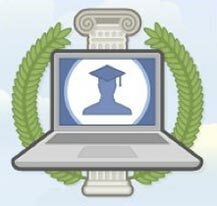 We began the Facebook Fellowship Program in 2010 to foster ties to the academic community and support the research of promising computer science Ph.D. students. Since then, our Fellows have shown remarkable progress in their study of computer security, compiler technology, distributed systems, machine learning, and more. Because of our past winners’ great successes, we decided to more than double the number of Fellowships for the 2012-2013 program. After considering nearly 300 applications, we are excited to announce the 2012-2013 Facebook Fellowship winners. We are confident that each of this year’s Fellows will continue to solve many of the exciting and challenging problems inherent at our scale. Highlights of this year’s Fellowship research topics include data storage, mobile computing, and programming language technologies. To facilitate their work, we have awarded each Fellow full payment for their 2012-2013 tuition, a $30,000 stipend to cover study expenses, $5,000 for conference travel, and $2,500 for a personal computer. We will also invite all Fellows to visit Facebook later this year to meet with engineers working on problems relevant to each Fellow’s research. Thank you to everyone who submitted applications this year. We received hundreds of strong applications, and after many reviews by our academics and engineering leadership, we’ve selected our 12 winners and 30 finalists. Meet the winners below and check out an overview of their research, as well as what inspired them to pursue it. We congratulate all our winners and finalists for their hard work and compelling ideas. When Jeremy sees many people carrying multiple smartphones, he also sees a challenge: How can we unify all those phones and their functionalities so we need to carry only one device? His goal is to revolutionize the mobile market with virtualization solutions that will allow us to use multiple virtual devices on a single physical device. Jeremy will work to unify the mobile user experience by investigating efficient and secure ways to virtualize whole platforms like Android. His work will help facilitate the next generation of mobile virtual appliances, open up new opportunities for mobile cloud-basedapplications and services, and clear our cluttered pockets of excess devices. Recently, there have been calls for considering datacenters “computers” and developing operating systems for them. However, the network that connects the thousands of machines inside a datacenter is often ignored and remains an application-agnostic, best-effort service. Mosharaf, a PhD student in the AMPLab, hopes to elevate the datacenter network to become a first-class resource in cloud computing environments. His research is introducing application-aware network primitives to make datacenter networks more efficient, predictable, and easier to share across multiple entities. John works broadly on machine learning problems. His research focuses on algorithms and techniques for scaling machine learning to the real world — problems with too much data to store on one computer. John’s goals are twofold: First, his research studies the growing size of modern datasets that necessitate new, efficient learning algorithms, such as for streaming, online, and distributed data. Secondly, he aims to develop both practical and theoretical understanding of new statistical procedures that allow computers to learn amidst previously difficult problems. Tyler believes that meeting the needs of a data-driven society requires constantly improving the storage stack. He takes a “measure then build” approach to storage-system design. Previously, he studied the file I/O behavior of various desktop applications; the resulting analysis has implications for the design of future file systems. Now, Tyler is measuring the Hadoop File System (HDFS). Tyler plans to model HDFS scalability and create an HDFS emulator, and he hopes his work will help meet the scaling needs of growing services on the social web. Jeff is studying scalable, non-intrusive methods for collecting richer interaction data on web pages. Going beyond page views and clicks, he is using mouse cursor movements, scrolling, and tabbed browsing to support the design of better information systems. Through this, Jeff has analyzed user activity on search engines to model searcher behavior, aiming to help search engines better understand their users. As a PhD candidate at the University of Washington, Jeff hopes to show that search engines and interactive websites like Facebook can use user interaction data to provide the information their users want more effectively. Hyeontaek, a PhD student at Carnegie Mellon University in Pittsburgh, will focus on developing techniques to improve the resource efficiency of distributed systems He hopes to deliver more affordable data-intensive computing, facilitating future innovations for large-scale Internet services. Gregory believes that programming language technology has the potential to radically improve both the efficiency and the trustworthiness of modern software. This year, he plans to research how extensible program logics can be used to reason about low-level, concurrent software. He believes that the right abstractions enable compositional, high-level reasoning about programs while retaining the ability to optimize them. To this end, he will work on a program logic for compilerintermediate representations that support concurrency. Gregory is currently a PhD candidate at the Harvard School of Engineering and Applied Sciences where he has been working on program verification and topics in high-level programming languages. He became interested in compiler and programming language technology at Rice University, where he worked on multi-stage programming as an undergraduate. Michelle, a PhD student at Carnegie Mellon University, is researching ways to let users share their content accurately and quickly, secure in the knowledge that only the right people will see it. Rather than setting specific permissions for each piece of content, Michelle’s system will let users easily set comprehensive, human-understandable rules for controlling access to certain types of data. By combining provable security and user-focused design, Michelle hopes to help users avoid wading through complicated and confusing privacy settings while still maintaining control over who sees their content. Adrian works on making computers more energy efficient. Modern computers, from smart phones to servers, contend with power consumption limits like battery life, power and cooling bills, and chip power density constraints — all of which threaten to impede progress in the development of those computers’ capabilities. Adrian’s research combines new processor designs with new energy-aware programming languages to help programmers write “greener” software. Adrian, who lives and studies in Seattle, hopes to make computers everywhere more efficient. Emily is a first-year graduate student at MIT. Her research focuses on building secure web applications that offer useful functionality while protecting the privacy and security of users’ sensitive data. By using ideas from applied cryptography, program analysis, and web security research, she would like to develop techniques that allow rich, functional applications to maintain the confidentiality and integrity of user data, even in the face of a compromised server or buggy application. This research will help to ensure that users’ data is secure and that their trust is well-placed. Rashmi is fascinated by the sheer scale of data that the key Internet players like Facebook handle today. The challenge of storing and managing this enormous amount of data in a reliable and efficient manner, and making it available in real time, has inspired her research on distributed storage. Rashmi is currently researching new encoding mechanisms for distributed storage systems with a goal of significantly improving their reliability and elasticity. Through her ongoing work on this, Rashmi envisions bringing a fundamental and principled approach to the multi-dimensional problem of designing distributed storage systems that will nicely complement and strengthen current heuristic-based approaches on this topic. As an avid Facebook user, Jean values Facebook’s support for fine-grained privacy settings. As a programmer, she understands the difficulty of developing code that enforces these privacy settings. In her research, she aims to make it easier for programmers to write these privacy-aware programs. For her Ph.D. thesis, Jean is developing Jeeves, a new programming language for automatically enforcing privacy policies. Jeeves allows the programmer to specify privacy policies at a high level, implement core functionality agnostic to the policies, and rely on the system to produce outputs adhering to the policies. Jean is excited for a future in which good language design makes programmers’ lives easier and even more productive.